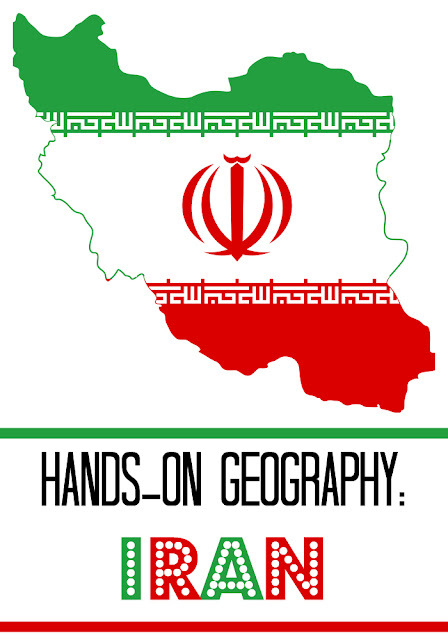 In this geography unit I collected books, videos, web resources, and activities to introduce elementary school children to a mysterious country of Iran. Yet again Smarty pulled randomly a card from our Geo Cards, and this time we jumped from Argentina to Iran. 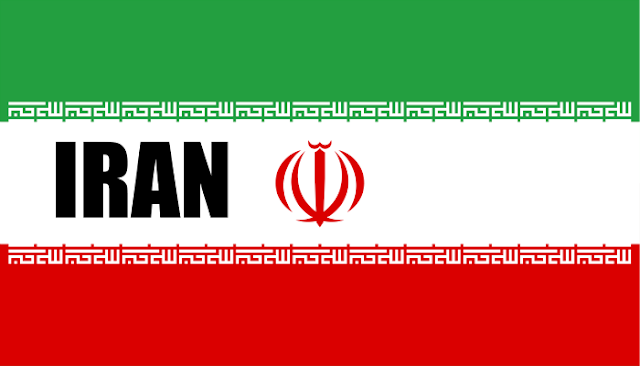 To Smarty's credit, she could pull up one "fact" about Iran - she said that this is where ancient Persia was, which is partially true. My mind immediately jumped to politics - oil, nuclear deal, hostage crisis of the past. My husband was thinking about Aytollah Khomeini and religious rulers of the country. Basically, we had a lot to learn about what modern Iran really looks like and then we still just scratched the surface. 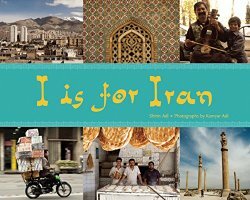 One of the books that we picked up was a non-fictional book from The World Alphabet series called I is for Iran. I found this kind of books to be hit-or-miss in the past, but this one was rather interesting, perhaps because almost all the things described in the books such as musical instruments, places, or food were entirely new to us. 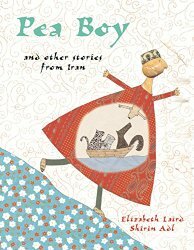 Pea Boy and other stories from Iran was a collection of folk stories. We both enjoyed this book, because yet again, the stories were different than what we usually read. A couple of them reminded me some of Russian folk tales when a person who does not seem to have any particular virtues or intelligence has good luck to be at the right sense at the right time to acquire wealth. There must be some sort of moral in these stories, but I was never able to discover it! 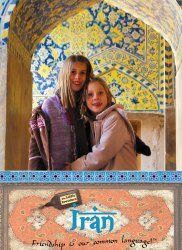 We have found Little Travelers video series in our local public library some time ago, and I remembered that they had Little Travelers: Iran episode. The series was created by Angelina Hart that took her two daughters to amazing places including Iran. Little travelers (age 6 and 9 in this episode) visit several places in Iran, and we could see the country through their eyes (they also narrate the video). Smarty especially liked the part where the girls are shown around by Iran's youngest tour guides who are also girls of about the same age. I really enjoyed the movie, because it does not try to be political. The rich culture of Iranian cities wth their private dance parties, because dancing in public is prohibited, ancient caravanserai of Zeinodin, skiing resort of Dizin is something that we really knew nothing about until we watched the video. I really highly recommend it to anyone who wants to see modern Iran without almost inevitable political commentary attached to any documentary about it. While exploring Iran, we learned a bit about rules of Islamic art and its focus on geometry and patterns. 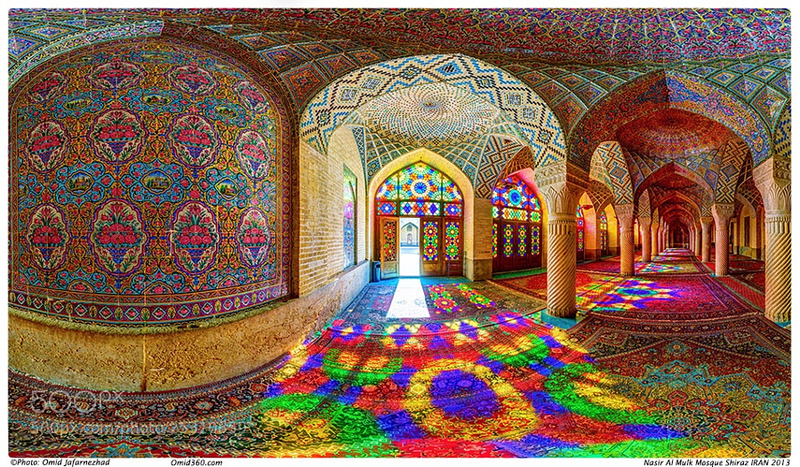 Smarty loves patterns, and she was enchanted by the beauty of Nasir al-Mulk, also known as Pinq Mosque. You can see more of it online, and the pictures can literally take your breath away. 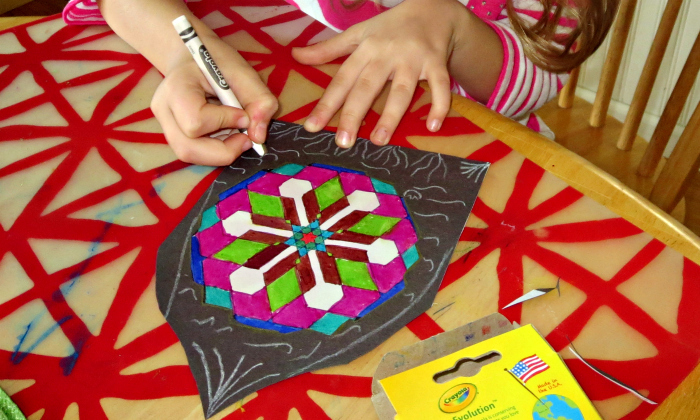 We were inspired to make our own stained glass art that I will write about in a separate post. We learned that Chelo Kabab is the most popular Iranian Dish. 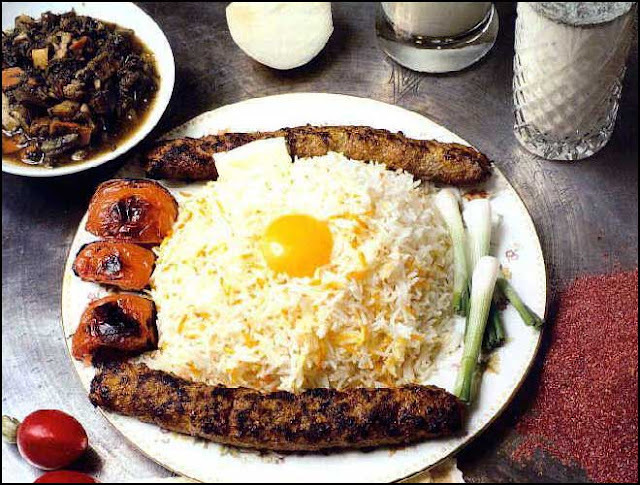 I have had it many times before, because one of my favorite local restaurants just happens to be an Iranian restaurant, and I always order chelo kabab (minus the egg, which, for whatever reason, they never serve here). It's on our plan to take Smarty there too, since she loves both rice and meat. Hopefully they have kids' menu, because the dish is rather big! At home, however, we made a different Iranian dish that I hope to write about in a separate post. Would you want to visit Iran for real? Why or why not? The geometric Islamic art is stunning! I love your hands on geography approach. The artwork is rather like some of the adult coloring books that are all the rage now in the way it looks to me.